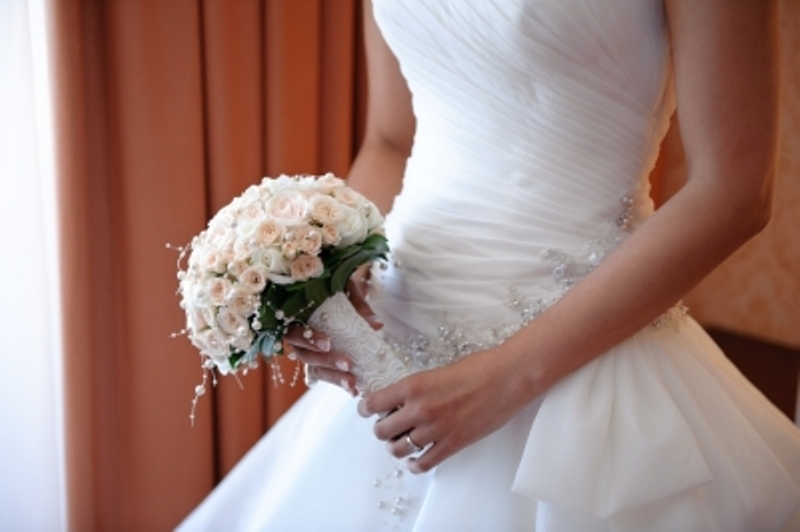 Jan 28, 2014 by Brittney C.
Wedding season is soon upon us – it’s the reason why many brides-to-be are now busying themselves by looking for ways to make sure they’ll have the perfect dream wedding. One of the most anticipated preparation events is the search for the wedding dress. Any bride knows that choosing a wedding dress can be taxing and stressful. This is especially true if you only have a limited budget at hand. Fortunately, there are many stores online that allow you to save money and still look stunning on your big day. You don’t have to sacrifice your look just because you have a smaller budget; you just have to be smart about looking for the best deals. Here are the top 10 places where you can find low-cost wedding dresses. David’s Bridal is a perfect store for brides-to-be who have a budget of under $1000. It offers a wide selection of wedding dresses that flatter all shapes and sizes. The best part is that the store even offers gorgeous gowns for as low as $50. With David’s Bridal, you no longer have to worry about how to cut costs because you’ll surely find something that is budget-friendly and beautiful. For a bride looking for an inexpensive but stunning wedding gown, BCBG is another great store that is worth checking out. BCBG offers elegant dresses that fall under $500. It also has a variety of options on wedding accessories that will complement the design of your chosen wedding dress. Although Ann Taylor’s price point may seem a little higher in comparison to other retailers, the collection of dresses is impeccably tailored–perfect for beautiful brides-to-be. If you want a fitting and tailored dress for your wedding, then go shopping at Ann Taylor. The store also offers wedding dresses that fall under $300. Looking for a simple and yet elegant wedding dress? The Dessy Group has it for you. This shop offers a wide variety of wedding gowns that are perfectly matched for all shapes and sizes. The most beneficial part of the Dessy Group is that most of these dresses are only offered at very cheap prices that start under $400. In addition, all its in-stock quick delivery dresses are returnable so there’s no need to worry if the dress you’ve chosen doesn’t fit the way you wanted. Another great bridal shop is the Shop Bob. With its wide range of bridal dress collections, you’ll surely find the best fitting one for you. Some of the dresses may cost more than a thousand, but others fall under the mark. Just go to the site and sort according to price. J. Crew has a wide collection of bridal dresses that brides-to-be will surely want to wear. J. Crew’s gowns are perfectly tailored with soft, silky, and comfortable fabrics, making them great choices for weddings. Some of the gowns are priced at more than a 1,000, but there are several dresses that fall under that figure. If you’re really on a tight budget, why not try Once Wed? This store offers a wide collection of pre-owned wedding dresses. The benefit is that most of these gowns are offered at a discounted price, which can save you a great deal of money. If you’re looking for a shop with a large selection of stunning bridal gowns, then The Knot is a great place to shop. Go to the site’s wedding gallery and you’ll find many beautiful dresses you’ll want to try on immediately. The best thing is the store also offers a large number of wedding accessories, such as hair embellishments, jewelries, and shoes. Another great option that offers pre-owned wedding dresses is eBay. You might be a little hesitant about the idea of getting second-hand dresses, but in reality, it makes perfect financial sense. Most used dresses are offered at half off the retail price so it’s definitely a great way to cut costs. Just think vintage! Etsy is a fantastic marketplace to find a perfect wedding dress. You’ll have several options from new to pre-owned vintage gowns, which are perfect for the classic bride-to-be. Just visit the site, and look for the best gown for your personal taste. Don’t forget to purchase wedding accessories to enhance your beauty on your big day. There are so many ways to save money on a wedding dress. Look around and try the top 10 places mentioned above, where you can surely find low-cost wedding dresses.